LG Display announced today that it will invest in a new OLED light panel manufacturing facility. The planned facility will be the first 5th generation (1000 x 1200mm) OLED light panel manufacturing plant in the world. It is to be located in the South Korean city of Gumi, where it will produce a range of OLED light panels. The initial input capacity at the plant will be 15,000 glass substrates per month. The monthly input capacity could be gradually ramped up depending on the market situation. LG Display expects the increased production with the new facility to give the company economies-of-scale. This will help the company obtain significant price competitiveness. In addition, the accumulated OLED display technical know-how will allow LG Display to considerably enhance OLED light product quality. The 5th generation facility will give the company panel size flexibility. With the larger glass substrate, LG Display will be able to produce a wide range of different size light panels, including giant ones. Further, this ability to make giant panels will better enable the company to penetrate the general lighting market. 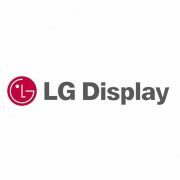 The investment decision follows the acquisition by LG Display of the OLED light business of its sister company, LG Chem in December, 2015. The plan for the new facility is in keeping with LG Display’s vision of bringing the exciting new OLED technology to customers around the world in the broadest array of applications. The company will firstly focus on task lighting and decorative lighting in high-end retail stores and in luxury hospitality; and expand to the general lighting market going forward. Also, the company will focus on automotive and convergence applications such as OLED light panels merged with furniture, architectural materials, electronic devices and more. LG’s OLED light experience began in 2000 with R&D into OLED materials at the Group’s chemicals affiliate, LG Chem, with production of OLED light panels beginning in 2012. 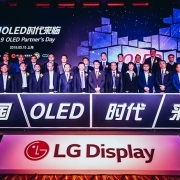 The acquisition last year of the OLED light panel manufacturing business by LG Display has been creating synergies with its production infrastructure and technology in OLED displays. It allows the company to save costs through integrated purchasing and shared investments, increase productivity by drawing on the accumulated knowledge of the display business, and help improve production infrastructure and use of technology patents. OLED light is made up of layers of organic materials which is self-illuminating and consumes less power and also emits lower heat than conventional lighting. It is environmentally friendly and is closest to natural light. Due to its ability to be thin and flexible, it is suitable for different applications and venues and could create new markets for lighting. According to UBI Research, a market research firm, the OLED light market is expected to grow rapidly from US$ 135 million in 2016 to US$ 1.6 billion in 2020. [Analyst Column] Encapsulation Technology, Where is it Going?